Gratitude is a word that is often overlooked and taken for granted. I know I moan a little when I hear it. Yes, I should have a grateful attitude, darn it. It would make me feel better, you feel better, everyone feel better. Why do I resist it like I do? Do you resist gratitude? What about your family? Your children? I write a lot over at ChesterCounty-Pa.com and I wanted to share it with you as well. I hope you enjoy! 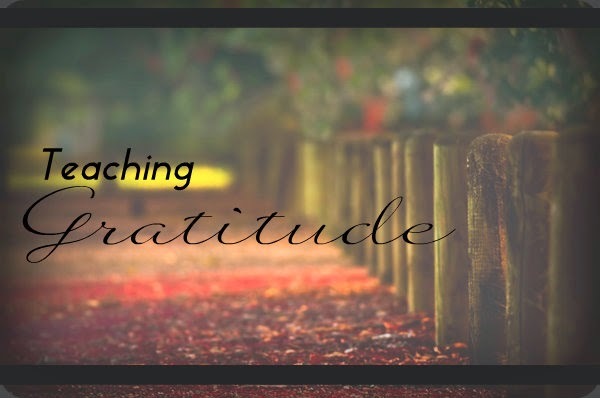 Thanks for sharing your ideas for cultivating gratitude in kids. Loved the pics & ideas! Blessings!